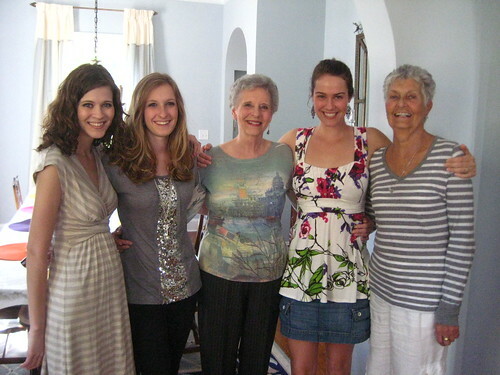 It's unreasonable that our grandmothers look better than we do. Coming back from Davidson is always so hard; I just want to stay forever. Mom said she’d write me a note to send to my employer: “Abby has a headache. She can’t come back to work for another week.” I wish! We had a beautiful, sunny, and happy weekend with the family, celebrating with the grandmothers and celebrating the end of Lent with an absurd amount of chocolate-raspberry cake and Peeps. Just as expected. More photos on Flickr.